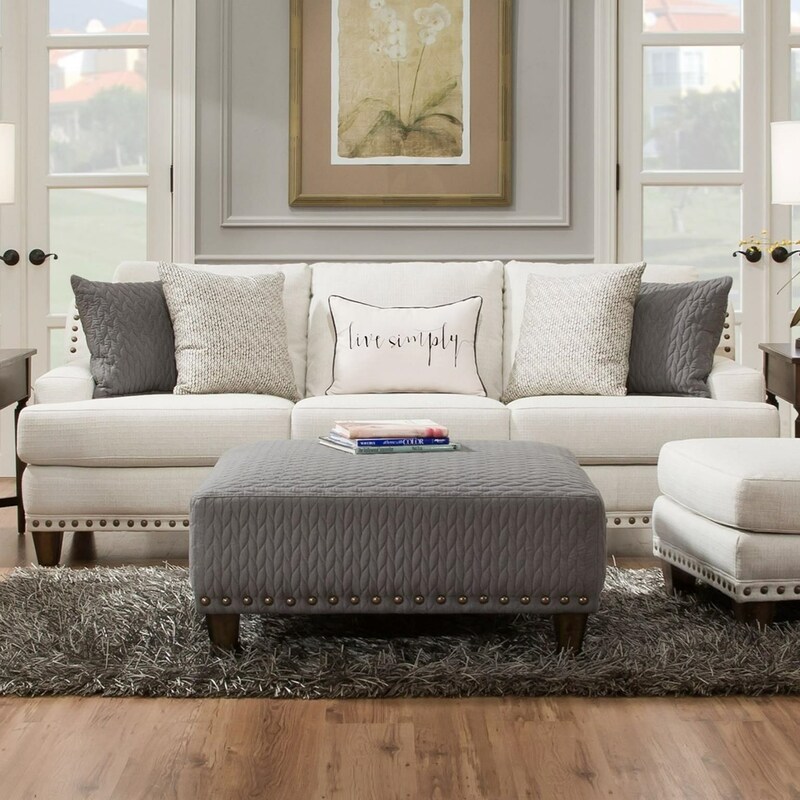 Add this sofa to your living room arrangement for a sophisticated transitional look. This piece features three seats tucked between contemporary track arms. Nail head trim and tapered wood legs add accents while the toss pillows provide a pop of color. The Monty Sofa by Franklin at Miskelly Furniture in the Jackson, Pearl, Madison, Ridgeland, Flowood Mississippi area. Product availability may vary. Contact us for the most current availability on this product.